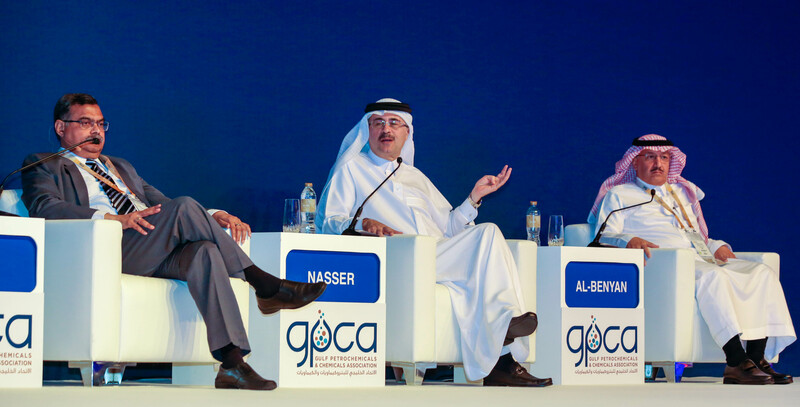 As Chairman of GPCA, what is the role of the association in advancing the regional industry agenda? Can you highlight some of your key milestones since inception? 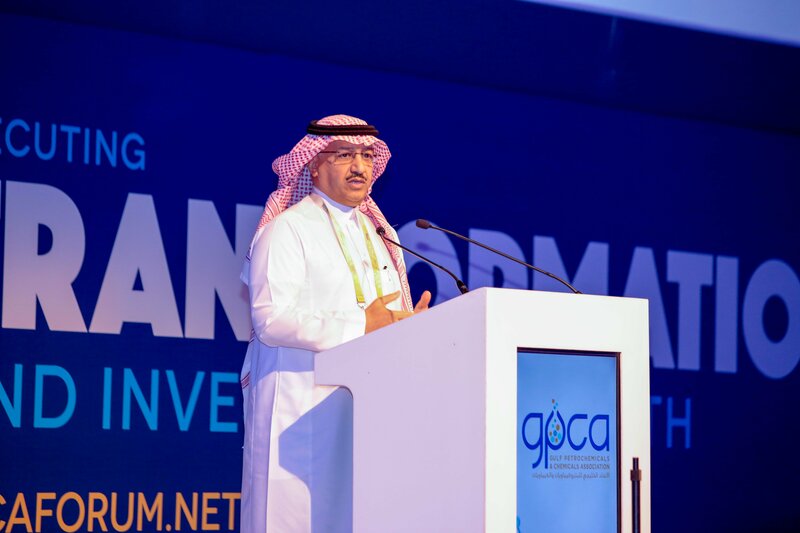 Since GPCA was launched in March 2006, we have successfully steered the regional petrochemicals and chemicals industries towards a whole new era of coordination and cooperation for the collective good of the region. The region’s major focus right now is diversifying the economy in order to move beyond the export of crude oil and natural gas. Saudi Vision 2030, along with UAE Vision 2021, New Kuwait Vision 2035 and similar programs elsewhere are advancing this effort. Our sector will thus play an indispensable role in making these visions a reality – by boosting local content and helping the Gulf economies climb the value chain to higher value-added products. Specialty petrochemical products are a particular area of potential. The petrochemical industry is a natural home for those hydrocarbons that will no longer be exported. All this will require unprecedented levels of cooperation and collaboration – mergers and acquisitions might be necessary. In this new world, organizations such as the GPCA are more important than ever. None of our goals will be met unless we have the right people with the right skills. One of the GPCA programs of which I am most proud is Leaders of Tomorrow, which focuses on developing the human resources our sector will require to succeed. Success also requires that our business be sustainable. As environmental concerns grow, our industry is developing products with sustainability in mind, taking into account their entire lifecycle with a focus on increasing their potential for reuse, recycle and energy recovery. GPCA’s Responsible Care and Waste-Free Environment initiatives aim at these outcomes. The theme of this year’s GPCA Annual Forum is “Executing transformation and investing in growth” – what are the key messages you would like the audience in Dubai take away with them? GCC governments are driving historic transformations to diversify and grow their economies. Saudi Arabia has Vision 2030. Kuwait has Vision 2035, and the UAE Vision 2021. In this environment, the role of the GCC chemical industry becomes even more critical to support their nations in realizing the envisioned transformation. The petrochemical industry is in a bright spot, offering tremendous growth potential. But we must realize the rules of the game have changed. China, and overall Asia, is the engine of chemical demand. It is expected that China will contribute to around 65% of all the incremental chemicals growth between 2017 and 2025. It is a very strategic market for petrochemicals. However, China’s rise to self-sufficiency threatens to capture most of the addressable demand. And the shale-enabled US petrochemical expansion competes with the GCC to address this incremental demand. The widening of the Panama Canal means it is almost as economical to ship chemicals to China from the Gulf of Mexico as it is from the Arabian Gulf. We have to think hard on what value we bring to the table, what competitive advantage we can create and leverage in the long run. Focusing on the needs of our customers is paramount. Our members have to build the right portfolio by investing smartly in technology and innovation capabilities that deliver results. And, at the same time, divest those parts of our portfolios that are not making money. Consolidation may also need to be considered. What factors should GCC petrochemical producers focus on to secure a sustainable business going forward? We have come a huge distance here in the GCC – but the goal line still lies ahead. Unlike China or the US or Europe, we in the GCC petrochemical sector do not have a large domestic market we can fall back on. We are almost entirely export-oriented. So, we must be more competitive than ever. We need to be both lean and fit – and we must focus on going up the value chain. We have huge reserves of unconventional chemical feedstock and a population of almost one quarter of a billion here in the Middle East. We must reduce our costs through synergies and optimization – leaving nothing on the table. We must recognize that we are in a fight for our export markets – we cannot win solely on cost, we need to win with customer service, too. We must build our local markets and reduce our reliance on customers many thousands of kilometers away. We need to develop products and build local value chains to better serve our customers’ needs — instead of allowing those needs to be met by imported products. We need to innovate and use the GCC’s intellectual and human capital to aggressively develop and compete for high-end, high-revenue applications. With these actions, the GCC will continue to be just as successful in the future. Do you see digitalization and diversity as key issues? Emerging technologies related to the Fourth Industrial Revolution, such as artificial intelligence, digitization, additive manufacturing, renewable energy, and electric transportation are driving our industry to explore new material technologies. These will enable faster transmission of data, powerful energy storage, and stringent regulatory demands in heat resistance, toxicity, and light weighting — combined with stronger mechanical performance. New material spaces are also serving to attend the rise of smart manufacturing processes, such as additive manufacturing and digital automation to allow innovation breakthroughs to be viable at industrial scale in a way faster than ever before. And how should producers address the problem of plastics recycling and the circular economy? Plastic packaging can help to reduce food waste, by increasing the shelf life of food. PE packaging for a cucumber extends its shelf life by up to three times; Plastic pipes prevent water loss by a factor of eight and reduce installation costs by up to 60%. SABIC is committed to addressing the pressing issues of marine debris and plastic waste management. SABIC is committed to reducing its energy, greenhouse gas and water intensities by 25% and material loss intensity by 50% by 2025, with 2010 as a base year. Lack of waste management infrastructure in inland cities and towns contribute through 10 main rivers to up to 95% of all waste in the ocean, according to the National Geographic. Poor waste collection in coastal cities and poor control over seaside landfill causes massive plastic pollution of the oceans. The circular economy represents a business opportunity that SABIC is embracing. Examples include the world’s largest CO2 capturing plant at United, SABIC’s affiliate in Jubail, Saudi Arabia, which is designed to capture and purify up to 500,000 tons/year of CO2. SABIC is the first in the industry to commit itself to scale-up high-quality recycling processes for chemical recycling of mixed plastic waste to the original polymer. Feedstock recycling saves fossil resources, reduces waste and is expected to be an important building block of the circular economy. SABIC has also joined WRAP, a leading organization on resource efficiency in the UK and fundamental to the delivery of a circular economy along the entire value chain. Resolving the plastic waste issue is an integral part of making the circular economy a reality. The GCC focus on moving downstream seems to have stalled somewhat, with major producers looking to go for volume growth in new refinery/petrochemical jvs – can you comment on how you and GPCA see this now? GCC companies understand that they no longer can depend on volume to drive growth. The GCC’s range of new products will continue growing as they become incorporated into more customer brands. This unlocks opportunities for faster revenue expansion in 2017 and beyond as the industry is encouraged by business trends and expectations of further recovery. Over the next decade, more than 20 new products will enter production, providing new solutions to our customers. Half of those new product lines are performance and value-added chemicals, which have the potential for further value creation in the region. In volume terms, new products will add about 16.1 million tons, representing 24% of total capacity additions. Turning to SABIC, can you update us on your jv plans to invest in oil-to-chemicals in Saudi Arabia, and your JV plans in the US with ExxonMobil? Also in China with Tianjin? Part of our strategy is to diversify our operations in terms of geography and in terms of feedstock. This helps ensure we are not vulnerable to sudden spikes or plunges in particular markets in what is a very cyclical industry. On 1 May this year, we joined with our longtime joint venture partner ExxonMobil to announce the formation of our latest joint venture – building a 1.8 million ton/year ethane cracker – the world’s largest. It will consist of a monoethylene glycol unit and two polyethylene units. We have announced the selection of a site in San Patricio County, Texas. Construction is pending completion of the environmental permitting process. We are projecting the plant to be completed and operational in the 2021-2022 timeframe. 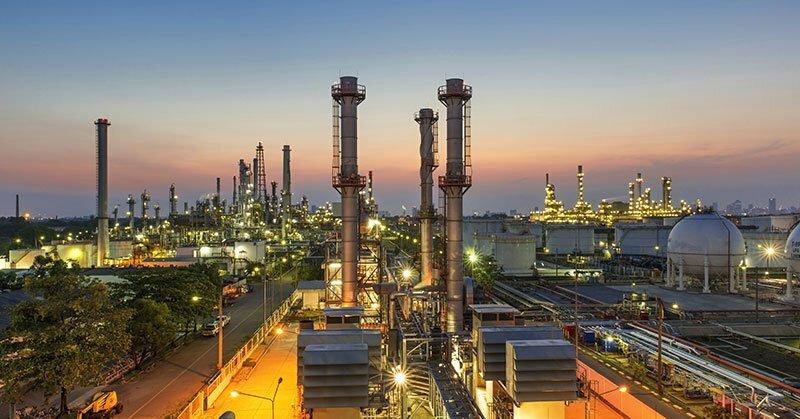 As for oil-to-chemicals, Saudi Aramco and SABIC have awarded a project management and front-end engineering and design (FEED) contract to KBR for the fully integrated crude-oil-to-chemicals (COTC) complex in Saudi Arabia. The contract follows the signing of the first FEED contract with the British-based Wood Group, which we announced on 8 March. KBR will work together with Wood Group to study the front-end engineering and design and related systems to implement the project, which we expect to begin operations in 2025. KBR and Wood Group will share their expertise to ensure the timely completion of the project. In China, we just recently signed a memorandum of understanding with the Fujian government to study the construction of a world-scale project in the region. This is intended to further strengthen our position in the critically important China market, which is projected to be the major source of petrochemical demand growth in coming years. No definitive timelines for this project have been decided, however. Organic growth aside, are you also looking to expand in product portfolio terms or geographically through M&A activity, and if so can you say which areas are attractive to the company? As our strategic vision is to be the world’s preferred chemical leader, SABIC watches closely and evaluates all markets including those in which our company is under-represented – such as Latin America, Russia, Eastern Europe and Africa. We are continually striving to grow our market share in the major consuming markets of Asia, Europe and North America. We seek to achieve our production, sales and revenue targets by focusing on new production ventures, expansion of existing facilities and growing our global network. And finally, any comments on the proposed merger with Saudi Aramco? The Saudi Aramco and PIF talks are between an owner and a future investor. As such, SABIC is not party to their discussions. We have trust in our regulators.